We don't choose it! So if your favourite DJ isn't in there, don't blame us. We are guardians of the poll, correct, but we don't decide who is in it — the voters do. Whether you agree with the findings or not, it's the most internationally representative DJ poll in existence. Votes come in from 190 countries worldwide, including Samoa, Christmas Island and Togo. With such a large cross-section that vote, the results always offer the most comprehensive gauge of global dance music tastes that there is. The dance world as a whole is MASSIVE, so don't be surprised if niche dance scenes or "underground" styles don't get in there. Over 750,000 people voted in the poll this year, from all over the world, and tastes differ drastically from continent to continent, so just because you haven't heard of a few DJs, doesn't mean they are not enormously popular in their own scene or territory. 4) WHAT DO WE MEAN BY 'THE WORLD'S NO.1 DJ'? Everyone loves a list and the poll is a good chance to survey the international dance community. Top 100 DJs is about finding the world's most popular DJs, not necessarily the most technically gifted turntablists or DMC champs. Something our good friend DJ Yoda failed to acknowledge recently. Is @DJmag 's top 100 some kind of sick joke? Every year the list stirs up controversy and, while we're all up for stimulating debate, getting nasty isn't the way to go about it. If you genuinely believe (or behave as if) the shortcomings of the poll equate to that of global atrocity, then you should probably reconsider what's important in life. After all, dance music was created to help people escape and have fun, so let's keep it that way. Leading up to and surrounding the award parties at AMF (Amsterdam) and Electric Brixton (London) — attended by 25,000 and 2,500 people respectively — the buzz surrounding the poll was palpable. The ceremony was watched live on Youtube by a quarter of a million people worldwide, #Top100DJs and DJ Mag trended worldwide on Twitter and even now our social networks are going ballistic. For every tweet riling against us because certain DJs didn't make the poll, there's another passionately pledging congratulations to those who did. 7) NOT IN IT? DON'T COMPLAIN. CAMPAIGN! As with any general election or form of democratic process, potential candidates canvas for votes for a chance to win. If your favourite DJ didn't make it in, the chances are they didn't mount a successful campaign. In the words of Paul Oakenfold: "It’s a popularity chart more now than based on your craft – you either say ‘Forget it’, or you campaign like everyone else, cos if you don’t campaign you don’t get in it, and the harder you campaign the more you’re gonna go up." 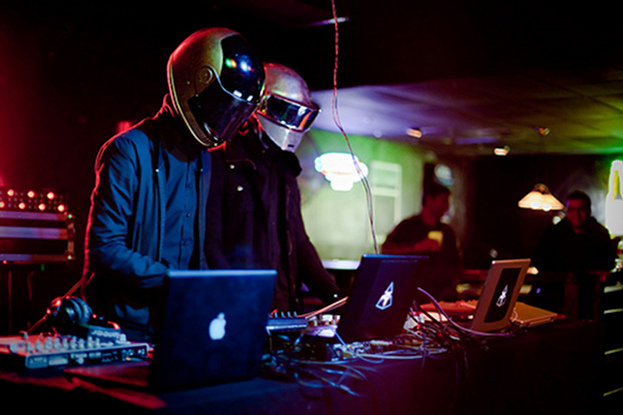 Some people question why Daft Punk — or any other live electronic act — feature again in a poll geared towards DJs, despite not playing a DJ set for over a decade. It's simple. You cast the votes, we count them. As guardians of the poll it's our duty to print a list that's truly representative of your voting behaviour. Apart from our widely read Top 100 DJs issue, we publish 11 other issues a year, run a website that is updated daily and put on events all over the world (and more). Those aware of this recognise we explore a vast range of dance styles and artists that don't feature in the poll. On the flip side, a large proportion of the three quarters of a million who vote don't follow what we do the rest of the year around — to put things in proportion. 10) IF YOU WANT TO KNOW WHAT WE THINK OF DANCE MUSIC TODAY, READ THE MAG! Lastly, the poll is offered as YOUR chance to have a say. We ask YOU to tell us who YOUR favourite DJs are. Ultimately, though, as a publication, DJ Mag serves to spot emerging underground talent that WE rate, while providing news, reviews and features about dance music culture as a whole — i.e music, clubs, DJ technology — driven by our own editorial vision. Little late on this but everyone needs to calm down about @DJmag's #Top100DJs. It's a poll. It does not mean that the world is ending.